Good morning peeps!! Happy Friday!! I hope you all have a wonderful weekend!! 🙂 🙂 We shot Wanda Moore for AzianiIron and I wanted to share some BTS of her big muscles. 😉 She is in her 50’s and still rocking it! We had so much fun hanging out, what a great lady!! Her pics and vids will be coming soon! 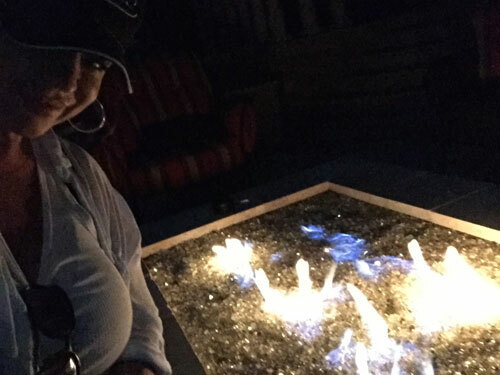 The weather cooled off a bit …enough to enjoy sitting around the fire-pit! Now it’s back in the low 100’s. Ughhhhhhh!!! Somehow every year Mother Nature teases us like that. I am so looking forward to jeans, sweaters and boots!! I am over summer!! I have a super busy Friday so I am off now. Sending love your way!